Do high street shops need to adapt to the trend of veganism? Let’s take for example a butchers shop. It could be so easy for traditional butcher shops to turn their head away from the growth of veganism. To dismiss the movement as a passing ‘fad’. The truth is there is now undisputed health benefits of being Vegan, the link with combatting climate change and consumer choices towards animal welfare decisions. How will our butcher shops compete? How can traditional high street butchers shops embrace the growth of the consumer demand for plant-based products? The fact is they need to. Over the last few years, we have helped lots of butcher shops and small high street supermarkets through our funding via a merchant cash advance. We’re in a good position for feedback, the reasons for capital, the issues businesses are facing. 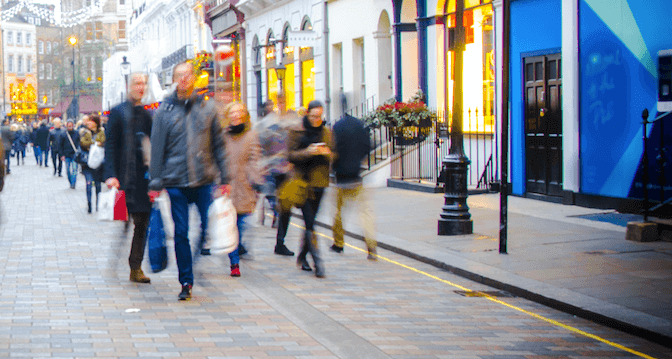 Recently we have been receiving feedback from small business on the high street, struggling with lack of footfall due to poor infrastructure, council car parking charges, increasing rates and more – it’s a tough environment already. But those businesses who move with the times can survive. Those willing to embrace change and adopt changes in consumer spending are in with a chance. So, for a business such as a butchers shop where there is such a battle going on. Not only do they also face the same issues as every other high street shop, but they have to deal with cost-cutting supermarkets on the town fringes and now the rise in the veganism movement. Veganism may be for some still a hipster market of the next generation but the facts are there. It is a surging national phenomenon, with plant-based businesses booming from John O’groats to lands end. The bigger chains such as Marks and Spencer, Sainsbury’s, Tesco, Aldi, Lidl, Asda and more – they are all at it. From plant-based cheeses to on-the-go lunch deals, ready meals and other options, the ranges are growing daily. So how can the high street stores such as butchers adapt to survive? By embracing change, adapting to the market demand, being different, offering what consumers are looking for. But would a vegan step foot in a butchers shop anyway? Generally, veganism is a health choice, so the broader market isn’t radically opposed to butchery. If that were the case, Vegans would also have to boycott the supermarkets too – after all, they have at least two aisles dedicated to meat and poultry in most. The advice for any business is to adapt. Don’t bury your head in the sand, look up and embrace new thinking, new products to sell, new methods and ways to sell it.